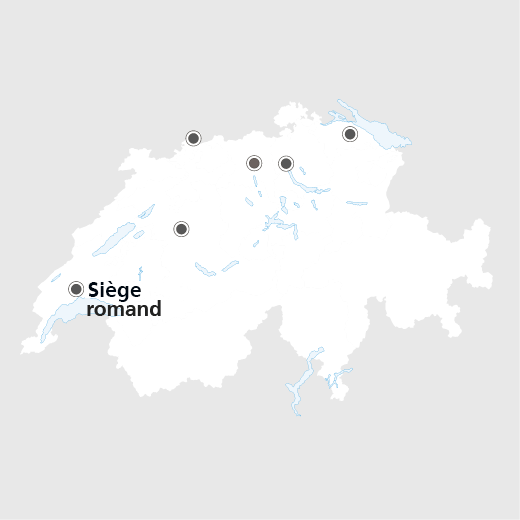 The Siège romand is conducting eleven outreach projects to assist disadvantaged persons, migrants and asylum-seekers in the Cantons of Vaud, Geneva and Neuchâtel. Some are aimed at integration, others at safeguarding rights. They are all designed to restore dignity and autonomy to the beneficiaries. The integration projects focus on language learning, integration into skilled employment or ending isolation. Other projects promote a better quality of life through prevention, information and guidance regarding appropriate services. HEKS/EPER also defends people's rights by providing legal assistance, advice or training designed to improve beneficiaries' understanding of their rights and duties. It also engages in advocacy, especially in asylum-related matters. The «SAJE» is a HEKS/EPER legal advice office that informs, guides and defends asylum seekers during and after the conclusion of their asylum procedure. HEKS/EPER manages eight New Gardens in French-speaking Switzerland intended for migrants in precarious situations, as a way of fostering their social integration through gardening. InfoSuisse 50+ is a HEKS/EPER integration project for asylum seekers 50 years and over, who have recently arrived in Switzerland. It promotes the learning of practical French. The HEKS/EPER Espace Parents project provides a place of encounter, support and guidance for parents in Neuchâtel. Through Chèques-emploi, HEKS/EPER promotes access to social rights for persons working in private households in the Canton of Vaud by improving their working conditions. CROE, HEKS/EPER organizes for an observer to be present at hearings on the grounds for asylum, in order to ensure the fairness of the procedure. The HEKS/EPER Age and Migration project informs, guides and integrates older people with a migration background in the Canton of Vaud. The HEKS/EPER Permanences volantes programme aims to improve the living conditions of migrants in precarious situations in Geneva, especially as regards their health.